Criterion directs its critical eye at Paramount's 1965 The Spy Who Came In from the Cold, a grim anti-007 spy movie that was one of the first to present real-life espionage as neither glamorous nor honorable. Richard Burton is the exhausted but determined Alec Leamas, a field operative who risks his life for his country, only to be regarded as an expendable chess piece. Intelligence "spook" turned novelist John Le Carré provides the authentic espionage context. Director Martin Ritt, a blacklist victim well aware of the politics of communist sympathizers, lends his political awareness to the mix. The Spy Who Came In from the Cold still holds up as an uncompromising look at a dehumanizing profession. Intelligence man Alec Leamas is eager to avenge the killings of several of his agents. British spymaster "Control" (Cyril Cusack) and field organizer George Smiley (Rupert Davies) ask Leamas to pretend that he's willing to defect, so that he may pull a complicated confidence game on the East Berlin spy organization. As part of his charade, Alec drinks too much and causes a fight in a grocery store. To his surprise, he also finds a new girlfriend in Nan Perry (Claire Bloom), a librarian and junior member in the local Communist Party. But he must leave Nan abruptly when the Red agents make contact. 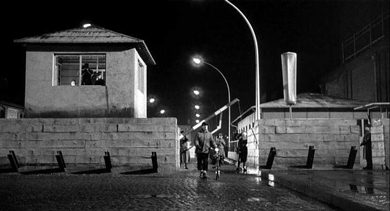 The top enemy spy Fiedler (Oscar Werner) spirits Alec away to a security prison in East Germany. Alec carefully plants the evidence that will encourage Fielder to accuse his superior Mundt (Peter van Eyck) of secretly working for London. The plan backfires when Nan Perry unaccountably shows up during Mundt's secret tribunal. Alec must think quickly, or be exposed and face certain death. The Spy Who Came In from the Cold begins with a tragic incident at the Berlin Wall, followed by agent Leamas' interviews with his handlers in London. Their professional attitudes are oppressive. Control wastes no time getting Alec back in undercover work, "out in the cold". George Smiley is outwardly pleasant but likewise reveals nothing resembling comradeship; each agent is an emotional island unto himself. Alec then spends months sitting in employment offices, drinking and provokes arguments over unpaid grocery tabs, becoming in reality the disenchanted bum he's "pretending" to be. To his surprise, the dullness of alcoholism is relieved by a chance relationship with Nan Perry. Leamas is amused by Nan's naïve notions of Party solidarity, a scene made convincing by director Ritt's personal experience. But we immediately sense that sentimental connections are a spy's worst enemy. In Alec's ugly profession, innocent bystanders are often the first to be sacrificed -- or revealed to not be innocent at all. Contact with the enemy begins a tense game in which Alec Leamas must fool spymasters practiced at rooting out fakery. Leamas is utterly isolated, with only his intellect to help him survive. He certainly can't trust the enemy and knows perfectly well that his bosses in London haven't told him the whole truth either. The Spy Who Came In from the Cold is definitely not an escapist thriller. Espionage in the bitter and cynical Cold War reduces the concept of patriotism to a cruel joke. 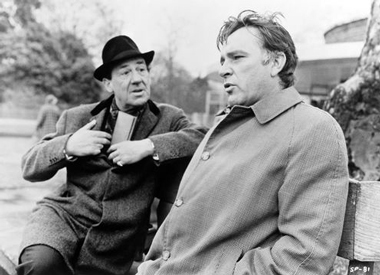 To help Richard Burton avoid tax problems, most of The Spy Who Came In from the Cold was filmed in Ireland. The re-creation of a Berlin checkpoint and other German locations is completely convincing. Martin Ritt felt that this gloomy story just wouldn't work in color, even though the major studios had all but stopped shooting in B&W. The director shows a firm hand in dramatic scenes, eliciting fine, understated performances from Burton and Claire Bloom. 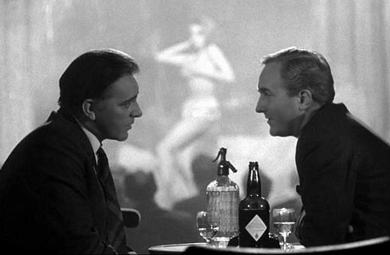 Oskar Werner's enemy spymaster is far more likeable than his cold and calculating opposite number, played by Cyril Cusack. The list of effective character parts includes Michael Hordern as a gay contact man, Sam Wanamaker as another East German agent and Peter van Eyck's menacing spy chief. Bernard Lee shows up as an unlucky grocer and Niall MacGinniss has a tiny bit as a West German checkpoint guard. All contribute to the film's impression that real-world spies can expect to associate almost exclusively with untrustworthy, dangerous characters. 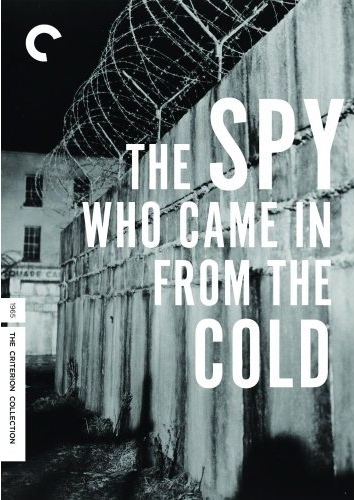 Criterion's 2-Disc presentation of The Spy Who Came In from the Cold is a fine enhanced transfer not all that much improved from Paramount's 2004 DVD release. The difference is in the extras assembled by disc producer Karen Stetler. Author John Le Carré takes center stage in a long recent interview. A fine raconteur and inspiring personality, Le Carré talks about his work in the Foreign Office and explains how he became a writer. A 2000 BBC documentary recounts the author's formative years working for his father, a politician. After that experience Le Carré considered secretive intelligence work a perfect career step. Both extras stress author's fascination with the loneliness and dispiriting aspects of the job. We're told that when a spy creates a false identity, it's easier than one might think for him to begin to confuse it with his true identity. Cinematographer Oswald Morris contributes a fine selected-scene commentary. He praises Martin Ritt's skill at coaching Richard Burton to tone down his performance. The fact that Burton once had a relationship with co-star Claire Bloom is covered but not given undue emphasis; Morris says that Burton's entourage and that of his wife Elizabeth Taylor were much more of a bother. 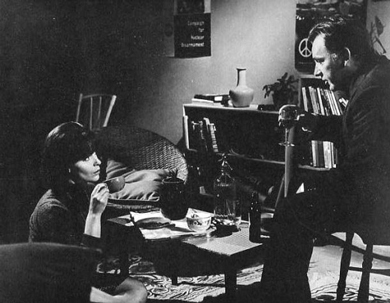 Also included are Kenneth Tynan's 1967 interview with Richard Burton, an audio discussion between Martin Ritt and film historian Patrick McGilligan, a trailer and a gallery of attractive set designs. Michael Sragow provides an essay for the insert booklet. Supplements: Partial commentary with Oswald Morris, interview docu with John Le Carré; BBC docu on the author, Richard Burton interview, Martin Ritt audio interview, set design gallery, insert booklet with Michael Sragow essay. Republished by permission of Turner Classic Movies .